Railpictures.ca - Robert Farkas Photo: Eastbound CN 3153 is east of Bayview Junction, Ontario as it heads to Toronto on June 17, 1980. | Railpictures.ca – Canadian Railway Photography – photographie ferroviaire Canadienne. 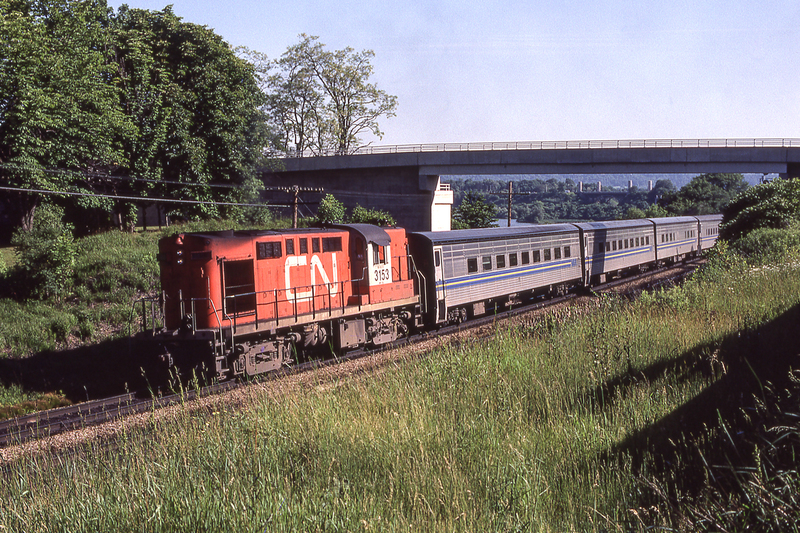 Caption: Eastbound CN 3153 is east of Bayview Junction, Ontario as it heads to Toronto on June 17, 1980.